Instantly downloadable sheet music by Otto Harbach for guitar solo of MEDIUM skill level. Alle Notenausgaben von Smoke Gets In Your Eyes zum Herunterladen bei VirtualSheetMusic. Alle Notenausgaben von Sunny zum Herunterladen bei VirtualSheetMusic. 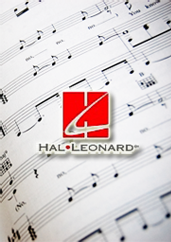 Alle Notenausgaben von The Touch Of Your Hand zum Herunterladen bei VirtualSheetMusic. Alle Notenausgaben von I Won`t Dance zum Herunterladen bei VirtualSheetMusic. Instantly downloadable sheet music by Otto Harbach for voice and other instruments (C Instruments) of MEDIUM skill level. Instantly downloadable sheet music by Otto Harbach for voice and other instruments (Vocal Volume 1) of MEDIUM skill level. Instantly downloadable sheet music by Otto Harbach for voice and other instruments (Eb Instruments) of MEDIUM skill level. Instantly downloadable sheet music by Otto Harbach for voice and other instruments (Vocal Volume 2) of MEDIUM skill level. Instantly downloadable sheet music by Otto Harbach for voice and other instruments (Bass Clef Instruments) of MEDIUM skill level. Instantly downloadable sheet music by Otto Harbach for voice and other instruments (Bb Instruments) of MEDIUM skill level. Alle Notenausgaben von A New Love Is Old zum Herunterladen bei VirtualSheetMusic. Alle Notenausgaben von The Breeze Kissed Your Hair zum Herunterladen bei VirtualSheetMusic.